The 27' John J. Freidhoff, named in memory of the late Captain John J. Freidhoff of the Great Lakes Center, is powerful enough to handle most conditions likely to be encountered on Lake Erie. Its cabin makes it the vessel of choice when scientists are using equipment that needs to be sheltered from waves and weather. The 28' Privateer is a powerful boat with a large open deck, making it perfect for larger groups of people, like classes, or for research activities requiring extra room for equipment. The Seiche is a 25’ vessel designed to lift and lower heavy equipment. 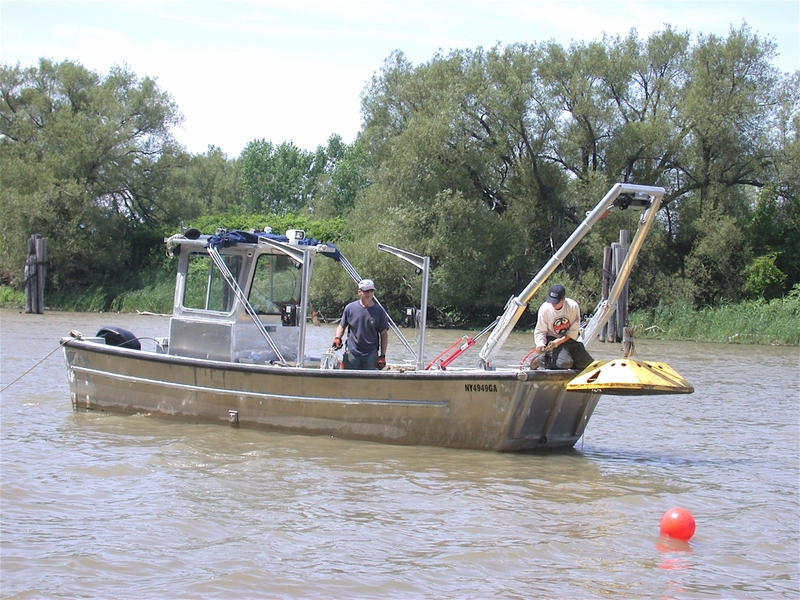 It has been used extensively to deploy acoustic equipment on the riverbed for studies of sediment in the Buffalo River. Our electrofishing boat has a 20' hull and lighting so we can collect fish day and night. This boat is useful for field sampling or class demonstrations and is used extensively by the emerald shiner study. 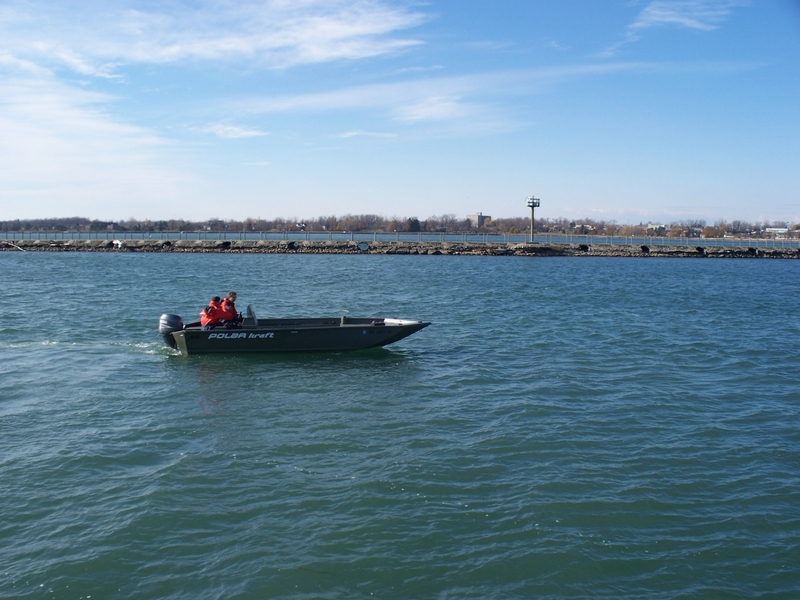 The Great Lakes Center also operates a variety of smaller craft that are used to support research projects in the area’s smaller lakes and rivers. There are seven general purpose boats from 13 to 20 feet in length and two canoes for use in streams and ponds.